An illustration is a word picture. When you use words to paint a picture, your reader can “see” a tangible image in her mind, much like a verbal slide or a still photo. 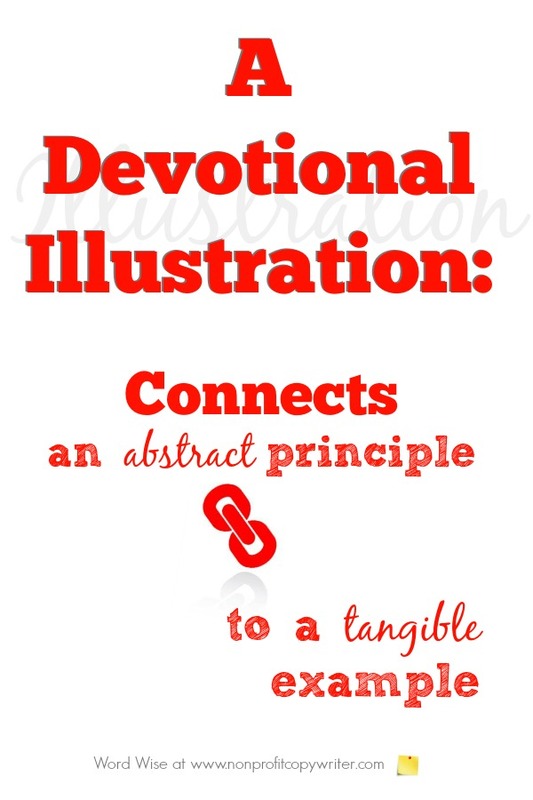 A devotional illustration translates an abstract principle into a concrete reality. Like a dot-to-dot picture, the illustration connects the devotional’s spiritual truth to a tangible image in the reader’s mind so she can understand it. Jesus Christ was a master as using illustrations to connect a spiritual truth to a concrete reality. He told the story of a woman who had ten coins, but lost one. She searched her house from top to bottom, cleaning and sweeping even by the light of a lamp, until she found the missing coin. Then she called together her friends to celebrate finding it (Luke 15:8-10). It’s a real life situation — one we can relate to even today. Most of us have misplaced a wallet or checkbook at some point, and have experienced the heart palpitations and sweaty hands that go with that experience. You empty desk drawers … search under car seats … empty all your pockets … retrace your steps … all to find the wayward item. Your well-chosen illustration by itself is not enough to complete your devotional. You need to spell out how your illustration connects to your point. Explain in plain language how the details in the illustration reveal the point – the spiritual truth. Once Jesus painted the picture of the lost coin for His listeners, He then made the connection to a spiritual principle — the point: “There is joy before the angels of God over one sinner who repents.” Put plainly, heaven’s residents celebrate passionately when a person is found by God. The concept of “Rejoicing of angels in heaven” is abstract. You may imagine lots of wing-flapping and halo-tossing, but since you haven’t experienced that kind of gathering firsthand, it is hard to grasp. On the other hand, finding lost money is much more relatable. You can identify with the woman’s celebration because you understand the relief and joy you experience with finding your wallet. The illustration helps you feel and understand a smidgen of how God celebrates with His fellow residents of heaven when you’re lost and then found. The word picture paints a concrete image for your reader. Your explanation connects your readers to your point. 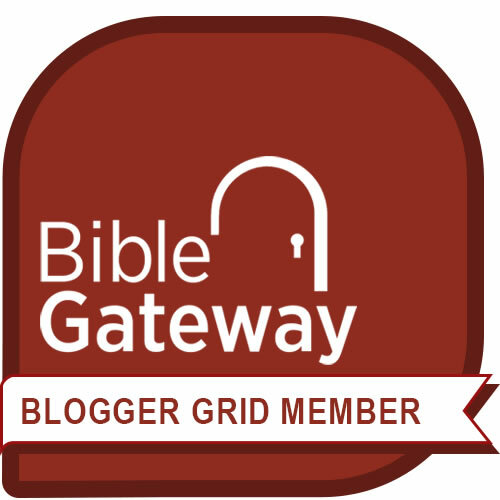 Your devotional illustration is complete – and connects the dots for your reader – with both.